Are you searching the web for Perdido Key Photographers? If so, look no further because you have found us! Just like our perfect little subject from last night's sunset session, we are here for one thing. That is perfect professional family photography. We are a husband and wife team, and we have been capturing perfect smiles for over fifteen years together. We want to work for you as well. Last night we got to work for this cool little fellow. His name is MAXX, and the beach is one of his favorite places. At eight months old, he was ready and willing to absorb it all is and have a good time playing in the sand. Not only was he perfectly at home sitting in the sand, but he also enjoys walking on the beach with his parents, and looking at seagulls. With several trips to the beach every year, he is gonna surely become a famous little beach dude. I mean with that smile, how could you not, RIGHT? We had a great time with him, and the whole family. It was really nice getting to know them, and they now have a picture perfect selection of new family heirlooms. Just like our clients from last night, we ask all our clients to come to the session with nothing but a smile, we always take care of the rest. We are dedicated to helping everyone create a perfect example of exactly what you are looking for. No forced posed shots over here, no fake smiles either. We will go to great lengths to make sure your session goes off without a hitch too. 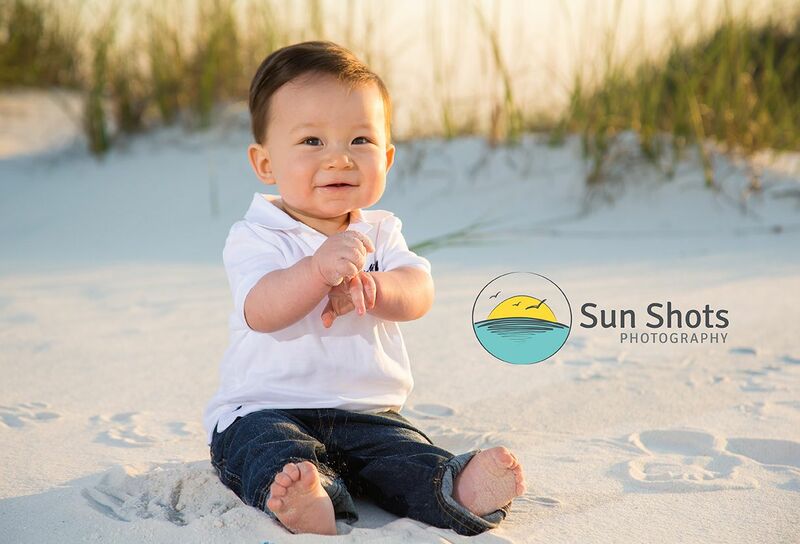 We what to be your Perdido Key photographers, and we can't wait to meet you. So if you are coming to the beach this summer, don't delay, give us a call today to schedule your very own beach photography session.